Image courtesy of Andrew Newberg, NPR. In Part I we looked at the importance of music in Mesopotamia and its specific role in communing with the gods. Fast forwarding nearly four millennia we found a remarkable similarity in the strains of American gospel music and the belief that the ecstasy of song enables the Holy Spirit to enter the bodies of the faithful. What is the nature of this willingness to give up one’s self to a higher being? How does music play a part? Is rapture—a potent driving force among believers—real? Let’s look further at the reason for this music/spiritual connection by venturing inside the anatomy of the brain and as well exploring humankind’s long and precarious evolution of mind and body. There have been theories posited—understandably controversial given the way faith is understood and embraced—about why people seek a higher power. In geneticist Dean Hamer’s 2005 book, The God Gene: How Faith Is Hardwired Into Our Genes, he claims that a version of the VMAT2 gene, which has been dubbed the “God Gene,” accounts for the spiritual nature of the great prophets and those who follow them. Many religious leaders have condemned this theory, saying it reduces the true power of faith to biochemical reactions that have little to do with free will and sublime belief. Hamer has allowed that other genes do come into play and that a complex series of chemical reactions can lead to the euphoria of spiritual oneness. He also asserts that simply a response such as this does not necessarily mean a person will be one of the faithful or even adhere to a religious set of principles. That seems to be linked more with societal and familial ties. Hamer’s other work proposed the genetic foundations of sexual orientation and of anxiety. As with the “God Gene,” his “gay gene” theory also enflamed popular, scientific, political and religious quarters, but other researchers since then have confirmed aspects of his thesis. 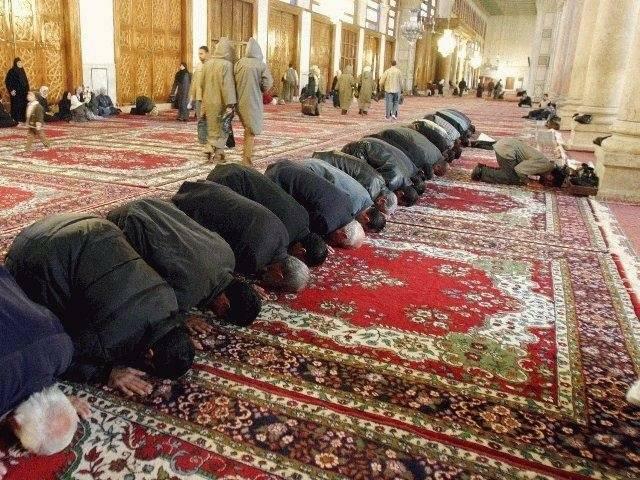 Muslims praying towards Mecca; Umayyad Mosque, Damascus. Image courtesy of Antonio Melina/Agência Brasil. For those individuals who want to go down the path of arguing that all of our religious and spiritual experiences are nothing more than biological phenomena, some of this data does support that kind of a conclusion. But the data also does not specifically eliminate the notion that there is a religious or spiritual or divine presence in the world. Another view of religion’s origins is offered by biologists David Sloan Wilson and Edward O. Wilson. They argue that religion has the markings of evolved behavior based on natural selection. They provide two circumstances in human evolution that predisposed humans to a belief system. The first is that the egalitarian nature of hunter-gathers led them to find common attributes needed to survive as individuals and as a group. Altruism and its bonding powers proved beneficial for individuals and by default, the group, and was therefore inculcated into the culture through its rituals and practices. These altruists passed on their genes and cultural values to their descendants. The second point is that in an era where groups fought ferociously for resources, altruism and religion bound people together and strengthened their cultural bonds, again promoting survival. Because these behaviors developed through natural selection millennia ago before humans moved beyond the African continent, they are hardwired into our neurology. Where does music fit in with these theories? For the human mind, such states of doubt and confusion are abhorrent. When confronted with them, the mind attempts to resolve them into clarity and certainty. This nervous anticipation and uncertainty create feelings. Music makes us uncomfortable and we love it. 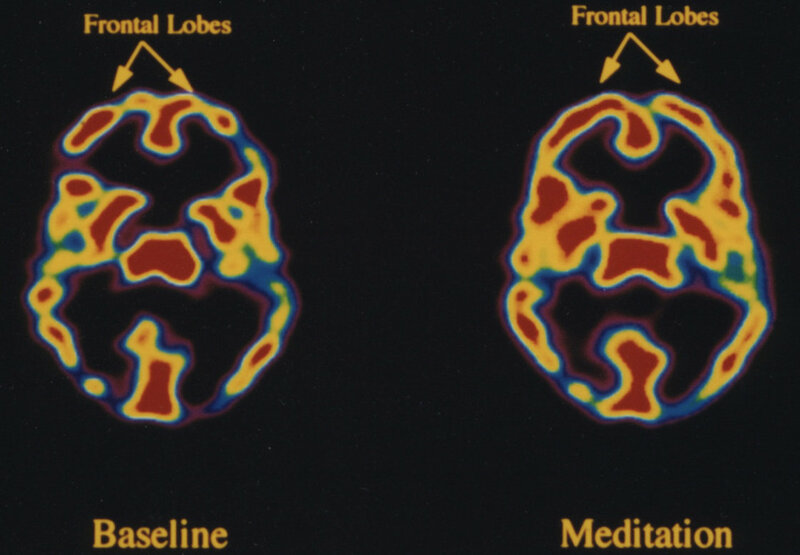 Image courtesy of Wired Magazine, “The Neuroscience of Music”. Two different brain circuits are involved in anticipation and experience, respectively: one linking to cognitive and motor systems, and hence prediction, the other to the limbic system, and hence the emotional part of the brain. These two phases also map onto related concepts in music, such as tension and resolution. So the nexus of religion and music is situated in the limbic system, an area where our most primitive, most seething emotions reside, where seductive pleasures flow and where transcendence awaits. Whatever moves us, whether the god we pray to or the music we sway to, the brain demonstrates a dazzling choreography of activity that still cannot be fully defined. And the questions still remain. Is there a God? Is God in the music? Even with our 21st century technologies that can delve deeply into the folds and recesses of our gray matter we may never find an answer. But in the end, does it matter where ecstasy resides and why? Maybe it is enough to consider that in our jangled and fiery circuitry, there are moments when we can traverse the vastness of consciousness and space, and where our minds and bodies can join the thousands of supplicants who have gone before in search of the great unknown. Alyson Calagna is a DJ who in her new original collection Omtronica mixes mantras, devotionals and poetry with tribal beats. The title is based on the Sanskrit word “Om,” representing Source, God or Light. “Musically,” Calagna says, “it is said to be the sound of the universe, the most sacred mantra.” Listen to a sample of her music here. Sufi whirling or spinning is a form of engaged meditation performed within the Sema, or worship ceremony. The dervishes seek to reach the source of all perfection by abandoning the self. To do this they use music and spinning to help focus on God. Watch the Sufi whirling dervishes of Istanbul. On the Wings of Ecstasy is an interfaith music and dance festival that incorporates a number of religious musical styles. Watch here. Hamer, Dean (2005). The God Gene: How Faith Is Hardwired Into Our Genes. Anchor Books. ISBN 0-385-72031-9. This entry was posted in Anatomy and Physiology, Biology, Blog, Culture, Music, Psychology, Science and Technology and tagged ancient history, ancient music, AntiquityNOW, God gene, music and spirituality, neurology, neurotheology. Bookmark the permalink. Reblogged this on A Feast For the Vain.